Turn XWD to TIFF raster images online and without registration! 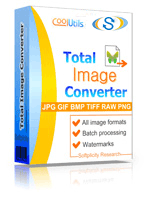 Use a XWD to TIFF Online Converter now or get our batch Tool for more! Description XWD (X Windows Dump Image) is an uncompressed raster image file format associated with X Windows System. The format is intended for creating screen dumps (screenshots). Created by the XWD client, an XWD image displays the entire background window. XWD files support a vast color palette, but the exact number of colors depends on the type of video card. Because XWD files do not use compression, they are large in size and therefore not suitable to sharing. The format is supported by Corel PaintShop Pro X7, XnViewMP, GIMP, Newera Graphics Converter Pro, etc.